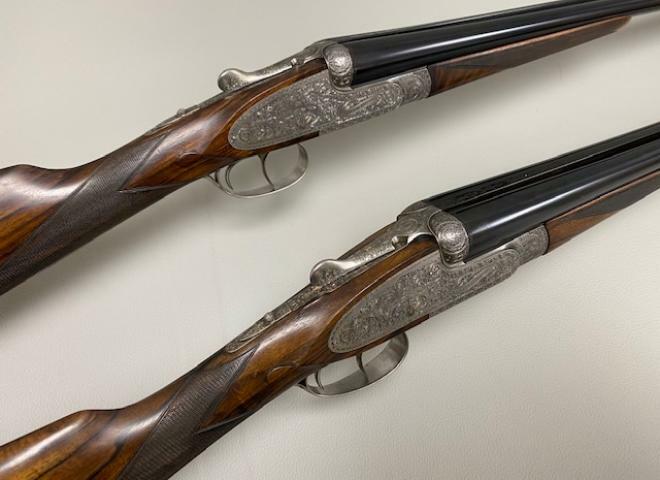 A lovely factory pair of round action game guns . 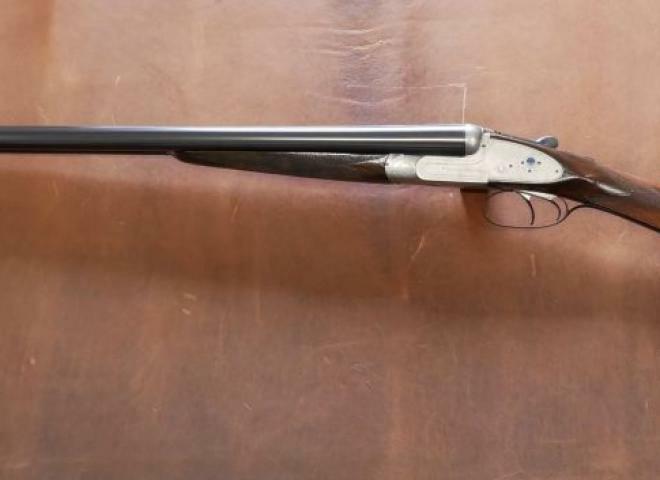 This beautiful example of William Powell top of the range over and under the Pegasus shows a stunning stock measured at 14 1/2". It has 30" barrels which have been teagued to give that extra flexibility throughout the season. REDUCED From £4,395 to £4,195. A fine quality sidelock ejector built to a very high standard on a traditional square sidelock action. Fitted with five pin rebounding locks. Tastefully engraved in fine scroll, the action is coin finished. REDUCED from £5,295 to £4,995. A fine quality sidelock ejector built to a very high standard on a traditional square sidelock action. Whitworth Steel Barrels, stock length includes extension in wood. 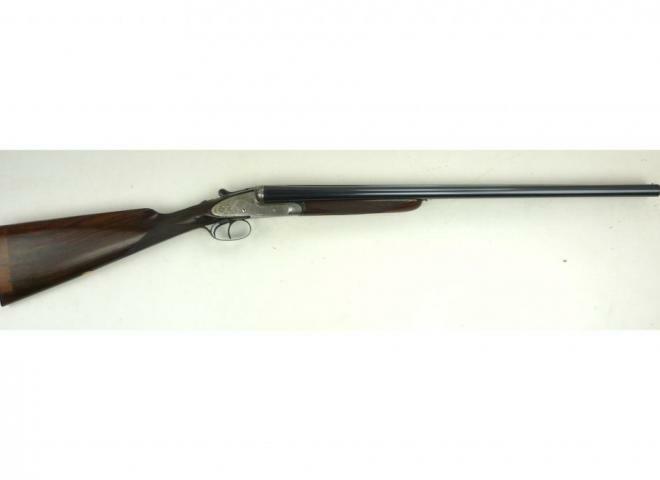 This is a lovely English gun great for Partridge days. The Eclipse is built to the same exacting standards as the Monarch but the action is hand filed into a round-bodied shape, which is gracefully different with its open scroll coin finish engraving.